Gardening is favorite hobby for a vast majority of people. It has health benefits galore, and is a sure way to keep yourself in touch with nature. Plus, it’s a good excuse to spend some much needed time outside. But, there is a darker side to gardening, and it’s one we don’t hear enough about. While the health benefits are undeniable, it’s time we educated ourselves about the risks. Gardening is a strenuous activity and involves dangerous equipment to boot. As such, us green fingered folk are at risk of many an injury. This list is by no means extensive, but it should at least give you some idea of the risks you face. The good news is, while the health benefits are guaranteed, the risks are not. As such, they shouldn’t be enough to put you off gardening altogether. In fact, if you approach it in the right way, there’s no reason your gardening need ever cause you problems. To help ensure the fact, we’re going to look at a few ways to reduce the likelihood of injury. Gardening is as physical an activity as sport. And, you wouldn’t go onto a football field without doing your warm ups. So, why would you head to the garden without taking this step? Just a quick warm up before you get started will make all the difference. Strains are, by far, the most common gardening injury, and when no one warms up for the event, it’s easy to see why. To ensure your warm up is effective, think about the task ahead of you. What parts of your body will you be using? Most often, arms and shoulders will need your attention, but that may vary depending on your task. Any gardener relies on their tools. But, these aren’t always as safe as they could be. When considering the risk of injury, it’s worth stocking up on some options to you save you from strain. Something like short handled tools make your life harder. You have to kneel or lean over, while also using physical force. That’s a sure way to a strain injury. Look out to see if there are any long-handled alternatives of the same tools. The chances are, you’ll find replacements easily. It’s also worth thinking about the grips themselves. When working with hard earth, you may find that wooden handles leave your skin raw and scraped. As an alternative, specialist rubber grip options would be your best bet. The softer handle means you’re less liable to harm yourself while working. It’s also worth considering the larger equipment, such as your lawn mower. Hand-held options need a fair amount of effort, which could lead to back injuries. Instead, it might be worth considering sit-on mowing options. Something like a zero-turn mower would ensure you can reach the very edges of your lawn, all while sitting. Reviews can be a great resource for finding a model which suits, so don’t hesitate to do your research. Once you stock up on one of these, you’ll never return to manual mowing again. It’s also worth thinking about small additions which will save you pain. Something like a kneeling pad is crucial if you’re working on flower beds. Kneeling for extended periods on the hard ground won’t do your legs any good. Pads provide an extra level of protection which your legs are sure to thank you for. 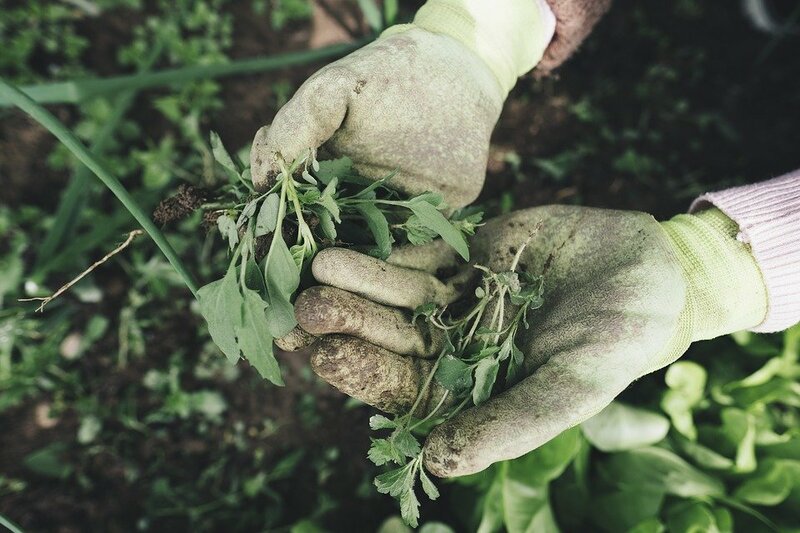 To address the risk of allergies from bites and exposure, consider your gardening outfit. We all have a go-to, which keeps our arms and legs covered. Otherwise, we’d be bitten to shreds in no time. But, covering your skin isn’t the only thing you need to consider. If you haven’t already, you need to get some safety gear to finish your outfit. Gloves are, of course, the most important aspect. These will protect you from scrapes and scratches, and ensure you don’t touch anything you shouldn’t. If you have existing cuts, gloves become even more important. Exposing open wounds to mud and soil could cause serious issues. Think, too, about investing in some safety eyewear. You don’t need to wear these every time you head into the garden, but you will need them on occasion. You should wear these when operating a lawnmower, to ensure nothing gets in your eyes. It’s also important to get them out when using chemicals.